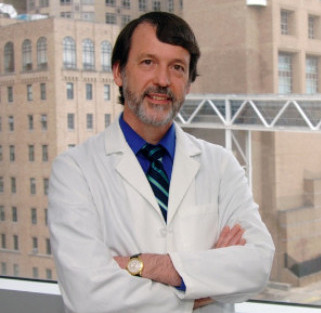 Lyme Connection newsletter editor Janet Jemmott recently interviewed Dr. Brian Fallon, Director of Columbia University’s Lyme and Tick-Borne Diseases Research Center. Dr. Fallon, along with Jennifer Sotsky, M.D., wrote Conquering Lyme Disease, Science Bridges the Great Divide. Packed with science and written for both medical and lay people, this book may help improve the dialogues we have with the practitioners who treat us for tick-borne disease. Let’s talk about persistent symptoms. A patient treated with antibiotics for tick-borne disease has persistent symptoms and clinical markers. What’s going on with the immune system at this point? We know from research studies in both animals and humans that there are many reasons why people might have persistent symptoms. One reason is that a small amount of persistent infection may be present and continuing to rev up the immune response. A second possibility is that the immune response stays activated long after the spirochete is gone. If the immune system is revved up, then circulating cytokines may be present. Cytokines, especially the inflammatory ones, can cause symptoms of fatigue and pain and cognitive clouding, and also induce depression. In studies of hepatitis C patients, for example, it was discovered that after treating them with interferon (a cytokine) to combat the hepatitis C, a good proportion of them developed depression. That was one of the first studies that led investigators to think inflammatory cytokines were actually causing depression. That has led to a whole new interest in a field of medicine called psychoneuroimmunology. In particular, mental health researchers are now exploring more intensively the role of immune processes in many psychiatric disorders, including schizophrenia, depression, and bipolar disorder. Given that infection with the Borrelia spirochete can result in a prominent inflammatory response, and given the neuropsychiatric symptoms many patients experience with Lyme disease, it makes good sense to investigate whether some of the persistent symptoms experienced by patients with Lyme disease result from an aberrantly activated immune response. Why doesn’t our immune system get rid or mop up the Borrelia? A healthy immune system scans the body for foreign agents and when detected, mounts an attack to eliminate the microbes. The Borrelia spirochete however, has particular survival strategies that enable it to evade the immune response. This shouldn’t be so surprising as the Borrelia spirochete survives in the mouse and the only way that can happen is if the spirochete is hard-wired genetically to evade the immune response. In humans, immune evasion might occur by several mechanisms. First, if the spirochete lands in a part of the body that is less easily scanned by the immune system, then survival is enhanced. For example, we know from animal models that after antibiotic therapy very few spirochetes can be found. When found, they may be in parts of the body where blood flow is diminished, such as in collagen tissue. Other areas favoring immune evasion would be the joints or the Central Nervous System (CNS). It used to be thought that the brain was “an immune-privileged site” where an immune response doesn’t take place. We know now that isn’t true, that actually the microglia, which are nerve cells in the brain, are involved in the immune response. Another possibility, primarily demonstrated in the lab setting, is that Borrelia spirochetes may form biofilms that assist in immune evasion. Additional mechanisms of immune evasion are provided by the spirochete itself. Borrelia change their outer surface proteins (Osp) at different phases of infection, in response to changes in temperature or pH, for example. This is usually referred to as upregulation or downregulation by the spirochete of the expression of certain surface proteins. If the outer surface proteins change, the initial immune response may no longer be effective in detecting the altered surface of the Borrelia burgdorferi (Bb) spirochete. Another way to word this is it that when the spirochete first enter the body it has a particular outer coat, but later it changes its outer-surface protein coat so the immune system may no longer recognize it. Another tactic is to make changes in the outer surface proteins themselves, so they appear just different enough that the fine-tuned antibody response no longer detects it. A further tactic of the Borrelia spirochete that helps survival is that the Borrelia spirochete binds certain proteins that serve to inhibit the immune response; specifically, complement mediated killing is diminished when the the Borrelia spirochete’s outer surface binds to the host’s complement regulatory factor H.
And fourth, the antibodies that are created to fight the spirochete may end up getting bound by some of the proteins that spirochetes shed, called blebs, which form immune complexes. If there are lots of immune complexes in the body, then the immune response will be rendered much less effective. We know from the dog model that dogs that get Lyme disease also can develop kidney problems as a result of deposits of these immune complexes in the kidneys. Borrelia-specific immune complexes have been reported in dogs as well as in humans. So when you refer to outer-surface proteins is that what you mean by down-regulation? That’s exactly right. The bands on a Western blot for example represent the proteins or peptides that are commonly targets of the antibody response against Borrelia infections. Typically, these proteins are outer surface proteins or are embedded in the membranes of the spirochetes. The antibodies generated in response to one set of proteins that are now downregulated (ie, not expressed) may no longer recognize the new set of outer surface proteins that have been upregulated. Therefore, the immunoblot or western blot will be more sensitive as an assay if it holds many different outer surface proteins. One of the pieces of good news from the last decade is that researchers have been identifying proteins that are upregulated later in the course of infection. Dr. Monica Embers, with her excellent monkey model of Lyme disease, has shown that spirochetes can persist. She also has shown that the outer surface proteins that are expressed later in infection are different from the ones expressed earlier in infection. If you want to detect late-stage infection, you need to develop a different assay that contains the late-expressed proteins rather than those expressed only early in infection. Now, finally, scientists are aware of this and they’re developing such assays. Are you saying that later in the infection, outer surface proteins might upregulate the immune system? When I’m saying upregulate or downregulate, I’m not referring to the human immune system’s response. I’m referring to what the Borrelia spirochete does, i.e., what happens on the spirochete membrane. So, up-regulate means that the spirochete is expressing certain proteins on its outer surface membrane, while down-regulate means the spirochete is diminishing the representation of certain proteins. All of those proteins could potentially invoke an immune response, but only if the proteins are upregulated and expressed on the outer surface. In other words, when the immune antibodies get created, they’re created to identify a specific pattern on the surface of the microbe. If the spirochete is changing its pattern, the immune system won’t recognize the pattern as something to attack or bind to. Okay, that makes sense. So this idea that the immune system remains in overdrive is not really a valid one? No, it is a valid one. When the immune system is in overdrive, it’s continuing to produce inflammatory markers. For example, consider the studies that we’ve done at Columbia with Armin Alaedini, a neuroimmunologist. His lab demonstrated that our patients with persistent Lyme cognitive problems have an increased expression late in the course of their illness of interferon alpha. This particular cytokine or interferon may in fact be inducing certain symptoms, like fatigue, associated with chronic Lyme disease. John Aucott and Mark Soloski at Johns Hopkins reported that a particular chemokine, CCL19, remains elevated in expression among patients with post-treatment Lyme disease syndrome, but is at normal levels in those who have recovered. CCL19 is an immune mediator that recruits inflammatory cells to sites of inflammation. This finding supports the notion of ongoing inflammation among previously treated patients. So absolutely there’s good evidence both for persistent cytokine activity late in the course of the disease among those who have persistent symptoms, and – this is important –there’s also evidence of specific antibody activity later in the course of the disease that might be related to ongoing symptoms as well. Allen Steere’s group at Harvard has identified three auto-antibodies that are strongly associated with antibiotic-refractory Lyme arthritis – antibodies against endothelial cell growth factor, apolipoprotein B-100, and matrix metalloproteinase 10. This, therefore, is not an example of ongoing immune activation. Patients with persistent symptoms refer to their illness as chronic Lyme disease, but some academics call it post-treatment Lyme disease syndrome (PTLS). Ongoing immune activation is one of the reasons why one of the treatments offered by some clinicians to patients is intravenous (IV) gamma globulin therapy. This therapy modulates the immune response, quieting it down, and has a specific role in antibody-mediated diseases. People who have autoimmune neuropathies - for any reason - usually have those neuropathies because there are antibodies being generated that were triggered by something, be it another infection or injury. When those antibodies are triggered they start to mistakenly attack the neural tissue, so one way to improve the health of those people with autoimmune neuropathies is through intravenous gamma globulin therapy (IVIG). That’s a well-recognized treatment that neurologists use for post-infection, immune-mediated neuropathies. Is that also relevant to other autoimmune disorders like Multiple Sclerosis (MS)? Yes, the immune response is obviously of importance in MS as well. Questions occur among patients: Do I have MS? Do I have Lyme? Do I have neurological Lyme disease? Patients with neurologic Lyme disease may have symptoms that overlap with MS, as both disorders can affect the brain and spinal cord. On brain MRI scans, patients with neurologic Lyme disease may have white matter spots or white matter hyper-intensities; patients with MS also have white matter hyper-intensities. Optic nerve inflammation is a common feature of MS, but it can also be seen in neurologic Lyme disease. However, most often, patients with neurologic Lyme disease have a somewhat different radiologic and spinal fluid profile than patients with MS. For example, MS patients tend to have very big lesions, whereas Lyme patients tend to have smaller lesions. MS patients tend to have them in a certain pattern or location (e.g., perpendicular to the ventricles), whereas Lyme disease patients generally have them in a different pattern. So there are some differentiating characteristics. MS tends to be primarily a T-cell mediated disease, whereas Lyme is thought to be primarily a B-cell mediated disease. That’s a generalization and certainly there is a newly discovered B cell component to multiple sclerosis, and T cells have long been recognized as important in Lyme disease as well. In Lyme disease, the spinal fluid may reveal Borrelia-specific antibodies; these would not be expected in MS, unless a person had both MS and Lyme disease. Is this relevant also to a disorder like Lupus or Parkinson’s? I can’t say I’ve seen a great deal of overlap between Lyme disease and Lupus. Parkinson’s-like symptoms have been reported in case reports in Europe as triggered by Lyme disease. I occasionally encounter a patient who has very well defined neurologic Lyme disease, with elevated antibodies in the spinal fluid who also happens to have Parkinson’s disease. This could be a circumstance in which a patient has been unfortunate enough to contract two independent and unrelated disorders. On the other hand, one has to be highly suspicious that something about that infection with Borrelia might be related to Parkinsonian symptoms. Certainly, in the presence of untreated, well-established neurologic Lyme disease, the clinician would treat the Lyme disease first to see if any of the Parkinsonian symptoms improve. If the Parkinsonian symptoms improve, then that would suggest - but not prove - a link to Borrelia infection. I haven’t seen enough patients with these two concurrent disorders to generalize. How do you treat for neurologic Lyme disease? Acute or early neurologic Lyme disease, because it’s an active infection, is treated with antibiotics. Central neurological Lyme disease can cause cognitive problems, manifesting as confusion, memory problems, or sometimes, even delirium. Rarely it can cause seizures. For central neurologic Lyme disease in the United States, it is necessary to treat with intravenous antibiotic therapy. In European studies, it appears intravenous ceftriaxone and oral doxycycline are comparable; this may be because in Europe, the initial response to infection is often accompanied by inflammation of the blood-brain barrier. Whenever you have an active infection that’s irritating the blood-brain barrier, you’re going to get an increased crossing over of whatever’s in the blood into the central nervous system (CNS). That’s very prominent during active infection and inflammation. When it’s an older infection or it’s already crossed the blood-brain barrier, something like doxycycline might not be as effective at crossing the blood-brain barrier. So for example, in later stage Lyme encephalopathy where people have cognitive problems, they don’t usually have a very inflamed blood-brain barrier, so they might need the IV ceftriaxone rather than oral doxycycline, as oral doxycycline would likely have a harder time getting into the central nervous system. This is a scientific question that needs to be studied in a controlled fashion here in the United States. It would valuable to compare IV ceftriaxone to oral doxycycline for patients with persistent cognitive problems that occur after Lyme disease. Oral doxycycline does cross the blood-brain barrier? It does, but not as well as the IV ceftriaxone. Minocycline, which is similar in many ways to doxycycline, also has good penetration across the blood-brain barrier, but again, not as good as the IV ceftriaxone. In your book, you say the strains of Borrelia are different in Europe, and that may account for the different responses to doxycycline. There are three primary genospecies of Borrelia burgdorferi in Europe, and many, many different strains within those genospecies. One genospecies might more often cause neurologic disease while another genospecies might more often cause a skin disease. One strain might be more invasive than another strain that is more likely to stay localized to the skin. I am not aware of any studies that have compared the response of these different genospecies or strains to any antibiotic therapy. In Europe, they have three primary genospecies, which is even more complicated than a strain. Strains are spirochetes that have a small amount of difference from one spirochete to another. A genospecies has a large amount of difference from one spirochete to another. In Europe, they have Borrelia burgdorferi, like we have, Borrelia afzelli, which causes a dermatological illness, and they have Borrelia garnii, which causes primarily a neurological illness. The B.garnii illness is primarily meningitis and radiculitis, with severe shooting and stabbing pains. So that’s what occurs in Europe, primarily. What’s interesting is, if you get infected by Borrelia afzelii, you might have neurologic symptoms that are not recognized as neurologic Lyme disease. With Borrelia afzelii, you might have light-headedness, dizziness, and some memory and concentration problems, but more likely you would not develop the painful meningitis or the shooting pains that occurs with the B.garinii. Because of these more subtle neurologic findings, in Europe, neurological Lyme disease is missed sometimes when it’s caused by Borrelia afzelii. Here in the United States, we have many strains, variations of Lyme spirochetes. Some of those strains are more invasive, meaning, some will be more likely to probe deeper into the skin and invade the blood stream and be distributed throughout the body, whereas other strains hang out on the skin surface and don’t invade. That’s important because depending on what strain you get infected with, there might be a different clinical profile. We wouldn’t know about all of the different strains without the capacity to rapidly sequence the spirochete’s genome. Super fast, next-generation genome sequencing has only been around since the early 2000s. So in the last 15 years we’ve seen a rapid advance in speed and a reduction in the cost of sequencing. In the early 2000s, it cost 500 million to a billion dollars to sequence one human genome - and it took four years. Now you can do it in two days for a cost of 800 to a thousand dollars. In your book you talk about abnormal brain function and blood flow, and inappropriately activated brain circuitry. Can you explain what’s going on? I’m very concerned by what happens to the brain as a result of the Lyme disease infection. Anyone who has lived with someone who has Lyme disease, even at the early phases, knows that it causes flu-like symptoms. It also can cause, relatively quickly, cognitive problems, where you have a hard time finding words or you have problems with short-term memory or you have a brain fog. So the fact that you’re getting those symptoms so early in the course of an infection indicates that the brain has been changed in a certain way. This makes me very concerned as I believe a subgroup of patients have altered brain chemistry or brain neuro-circuits as a result of the Lyme disease infection. Now it could be that the infection is still causing altered brain chemistry, in which case you need antibiotic therapy to treat it, but it could also be that the prior infection altered the brain circuitry in such a way that it caused a dysfunction in the workings of those neural circuits. And that can’t be fixed with antibiotics; that has to be fixed with other methods. Non-antibiotic interventions are many. Primarily, however, they would be psychopharmacologic interventions. For example, there are patients who have persistent pain related to what’s called “brain pain” or altered brain pain circuits. This brain pain is also called central hyper-sensitization. There are specific medications - not opiates - that help to reduce widespread bodily pain by acting on the brain pain neurotransmitters. Another example of the impact of pharmacologic intervention is in the context of depression, where an appropriate antidepressant or anti-anxiety medicine will help. Another approach to treatment is with neuro-stimulation. We have methods now of stimulating the brain with small amounts of a magnetic or electrical current that actually lead to a reduction in pain or can lead to improved mood. Some patients tell me they are very wary of taking medications or taking more medicine or the side effects of medications. So I suggest considering a treatment such as transcranial magnetic stimulation (TMS). This doesn’t involve any medicine, but it does involve magnets that cause an activation of currents in the neurons under the scalp in your brain, and can benefit patients. Often times, patients are intrigued by this treatment approach and are willing to try it. I have had patients who have found TMS to be quite helpful in reducing pain and improving mood; that would be considered an anecdotal story, meaning nobody’s done a study yet of TMS for patients with persistent symptoms after Lyme disease. That’s another study that should be done. The good news is that we have these new techniques that can lead to improved symptomology, and not just improved but a lasting improvement. A patient might get treatments for three months or six months or nine months, and then stay well after that. Is meditation another way to deal with inappropriately activated circuitry? Meditation has been shown in scientifically controlled studies to be helpful in improving cognition (e.g, attention and the speed of thinking) and the quality of our relationships with others. Meditation has also been shown to be helpful in decreasing pain and enhancing energy. Our patients with chronic symptoms of Lyme disease often talk about problems with their thinking, memory, and attention. They also talk about problems with energy and pain. So, to not make a serious effort to try meditation or yoga really is a loss, as it deprives the patient of a potentially highly beneficial treatment. With yoga and meditation, one learns a technique (e.g., breathing, stretching, and/or mindfulness) that can be done anywhere. Another positive thing about yoga and meditation is that it provides the individual with an improved sense of control over the experience of symptoms and the quality of relationships in one’s life. Just to show you how powerful yoga and meditation are, consider that these tools are often used in cancer settings in hospitals to teach people how to reduce their pain. Are you doing a meditation study in Connecticut? Yes, we’re doing a study now with Dr. Charles Alexander in Southport, Connecticut. He’s doing it for free because of his great conviction that yoga - specifically Kundalini yoga, which includes meditation and breathing techniques - can be very helpful for patients with chronic Lyme disease symptoms. He’s been conducting this study with us for the last two years and we still need another 15 patients to complete the study; so, if a reader is interested in learning more, please call us as soon as possible so that you can be one of the participants of the study before it closes. It’s an eight-week-long group therapy with four or five people in each group. Patients who have gone through this practice report feeling much better after eight weeks of treatment, and many want to continue doing it even after their eight weeks have ended. I’m very excited that Dr. Alexander is conducting this treatment study. Anybody interested can contact us by calling 646-774-7503 or by checking out our website, which is www.columbia-Lyme.org. 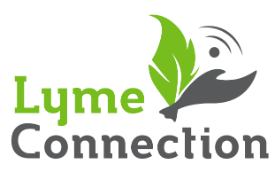 The website tells you a lot about Lyme disease and about our research studies, both past and ongoing. What happens to your brain with meditation? What we know happens is really remarkable. Studies show that meditation has many positive effects. We know meditation and yoga can quiet down the hypothalamic-pituitary-adrenal axis (HPA) and the sympathetic nervous system, which lead to the stress response molecules that cause the fight-or-flight response. We know meditation can actually increase hippocampal volume (the hippocampus is involved with memory). This was a study done at Yale. I can hypothesize how that happens. The hippocampus is part of the brain that continues developing new cells throughout adulthood. This is called neurogenesis and it refers to the creation of new neurons and the expansion of new connections between neurons (i.e., expansion of the dendritic tree of connections). If a person is suffering with a high level of anxiety or a high level of stress, those neurons aren’t going to develop and grow. We know from many studies that antidepressants and anti-anxiety medication can be very helpful in enhancing neurogenesis or the growth of new nerve cells. When patients tell me they don’t want to treat their depression or anxiety because they don’t want to ruin their brain, I tell them they risk harming their brain by not treating depression and anxiety, because untreated depression and anxiety causes decreased neurogenesis and a shrinkage of certain brain areas – that’s been documented. We know meditation has been shown to be very helpful in reducing anxiety and depression, and it may be meditation leads to increased neurogenesis. We also know that the brain pathways involved with pain - or the pathways involved with what’s called self-referential thinking or constant worrying, ruminating, or stressing out - those brain activation patterns are normalized as a result of meditation, and that occurs concurrent with an improvement of symptoms. So we know that meditation has dramatic effects on the brain. Most meditation practices include a component of rhythmic diaphragmatic breathing that activates the parasympathetic nervous system. The autonomic nervous system is divided into the sympathetic and parasympathetic. The sympathetic is the fight and flight response, that tremendous alarm response. Many patients with Lyme disease feel an increased amount of alarm, agitation, or fear and anxiety; this hyper-aroused nervous system needs to quiet down. This can be done by activating the parasympathetic nervous system by breathing techniques or even by direct stimulation of the vagus nerve. When the vagus nerve is stimulated, it impacts the brain, the heart, the GI system, and other parts of the body. When the parasympathetic nervous system is stimulated either directly through vagus nerve stimulation or indirectly through abdominal breathing, the individual would likely feel calmer. A wonderful research study came out two years ago. When the vagus nerve was stimulated through a device surgically implanted under the skin, there was a reduction in inflammatory cytokines circulating through the blood. Kevin Tracey, a neurosurgeon on Long Island, conducted this study of the vagus nerve with patients who had rheumatoid arthritis. What his group showed was that with vagal nerve stimulation, patients reported less pain and didn’t need to use as much pain medication as they had previously. It’s astonishing. He also showed that vagal nerve stimulation led to a reduction in the level of inflammatory cytokines that these patients with rheumatoid arthritis had circulating through their blood. So, this pivotal study provided objective evidence and proof that by stimulating the parasympathetic nervous system or vagus nerve, you can get reductions in systemic inflammation and pain and improved quality of life. All patients with inflammatory pain should pay attention to this. It is important to emphasize that the yoga breathing techniques also stimulate the vagus nerve. What a great thing that something as simple as meditation and yoga can have such profound effects. What about the gut’s microflora? Is there anything going on with the microflora that is involved with the processes of persistent Lyme? There are two parts to that question that are important. One is to ask how Lyme disease is affecting the gut flora or the microbiome – i.e., all those microbes in your GI tract. We don’t have an answer to that yet. But second, we need to ask: Do patients with chronic Lyme disease symptoms have a different microbiome presentation than those who have recovered? And if they do have a different microbiome pattern, is it possible that by correcting what’s excessive, missing, or off-balance in the gut microbiome, that it might then lead to a reduction in symptoms? It’s a very real possibility that this could be the case. I know that many people are aware that microbiome studies are prominent for inflammatory diseases of the GI tract like irritable bowel syndrome or Crohn’s disease or colitis. In addition, there is growing interest in exploring microbiome therapies for those disorders, as well as emerging interest in looking at microbiome interventions for mood. A Canadian study on patients with irritable bowel syndrome showed that giving a certain type of probiotic led to a reduction in anxiety compared to placebo. That was a small study that needs to be replicated, but it suggests that microbiome alterations, even something as simple as probiotic treatments, can lead to improvements in overall health, fatigue, and cognition. There are a large number of people really excited by it so I’m sure over the next ten years we’ll see many more studies, including among patients with persistent symptoms after Lyme disease. I’ve been talking to some people about that now. I don’t know how far away that is but it’s a valuable avenue to pursue. Because many of our frontline practitioners – NPs, Pas, GPs – are still not aware of the evidence of persistence, how can we change that? How do we get the news out on the latest research in Lyme disease? Unfortunately, it’s not uncommon for patients to know more about the latest advances in Lyme disease than some of their doctors. That’s very discouraging for the patients, and can create a distance between the doctors and the patients; when confronted with questions about the latest science, the doctor might get defensive. Doctors, especially if they’re not a Lyme afficianado, have to rely on standard guidelines to make their recommendations. Most doctors don’t have the time to explore every medical problem in great depth. Most doctors in the United States rely on the IDSA guidelines, which are quite good for early Lyme disease; these guidelines however are limited and problematic when it comes to the treatment section for patients who have persistent symptoms. We wrote our book (Conquering Lyme Disease: Science Bridges the Great Divide) to educate physicians and to educate the public. Why? Because we wanted to make as clear as possible some of the latest advances and discoveries in Lyme disease. The book includes the latest advances in diagnostics, pathophysiology, animal models of persistent infection, treatment, causes for persistent symptoms, other tick-borne infections, differential diagnosis, prevention strategies, and a terrific chapter on the experience of chronic illness. We highlight the challenges as well as the breakthroughs. We provide detailed descriptions of the presentation and treatment of both typical and atypical cases of Lyme disease. We talk about the animal models of persistent infection and the human studies as well. Everyone who is reasonable would agree right now that persistent infection, despite antibiotic treatment, is a well-established fact in the animal models. Persistent of Borrelia spirochetes or DNA has been demonstrated in dogs, monkeys, and mice. There’s no question that spirochetes can evade the immune response; that’s how spirochetes survive. But the fact that most doctors aren’t aware that the spirochetes have sophisticated immune evasion skills and can persist even after antibiotic treatment in the animal model is a problem. Unless a physician knows this about the animal studies, they might not be willing to give patients the benefit of considering the possibility that a repeated course of antibiotic therapy might be helpful. We discuss the clinical trials of persistent symptoms in the treatment chapter, as they have been so poorly understood in our opinion. One disturbing clinical scenario for example is the patient who is treated for acute Lyme disease, gets better, but then returns 3 to 4 months later with similar and worsening symptoms for which no other cause can be found. The physician may not know that a repeated course of antibiotics can be helpful, as was shown in the Stony Brook study of persistent fatigue. The patient might then be sent away untreated and then go on to having a more chronic course of symptoms. Physicians understandably and appropriately don’t want to give antibiotics to patients who don’t have an infection. They wisely do not want to over-prescribe antibiotics. The infectious disease community is smart to advise care and caution with the use of antibiotics. But when there is an active infection or a reasonable possibility of an active infection, the patient in our opinion should be given the opportunity to see if an additional course of antibiotic treatment is helpful. I have studied patients with persistent Lyme encephalopathy. These patients were sick for quite a long time. All of them had previous IV antibiotics at least once and all of them previously had oral antibiotics. It does seem pretty clear from our studies and from Lauren Krupp’s studies at Stony Brook University that a subgroup of patients do benefit from repeated antibiotic therapy. Both of these studies, however, only had a relatively small number of patients – 37 in one study and 55 in the other. Other larger studies did not find benefit from retreatment. Clearly, we need better diagnostics to determine who has persistent infection; we need better biomarkers so we can use the tools of precision medicine to guide treatment selections; and we need studies of a variety of treatment modalities - not just antibiotics. These could include, for example, studies of immune modulating therapies, microbiome interventions, brain stimulation approaches, and a range of pharmacotherapies targeting different symptom clusters. Herbal and nutritional strategies should also be studied. These are all interventions that clinicians are using, but they really need to be studied using the highest scientific standards so that the results will be credible to the medical community. Thank you for writing this book. It has the potential to enlighten a lot of practitioners. I’ve heard from many health care providers who read the book and they consider it to be loaded with valuable information. Many non-medically trained individuals have also found it helpful because we wrote it in a language that an educated lay person could readily understand. Dr. Fallon is the Director of the Lyme and Tick-Borne Diseases Research Center at Columbia University Medical Center. He was recently named to the Pathogenesis, Transmission, and Treatment Subcommittee of the Tick-Borne Disease Working Group, which is part of the federal government’s efforts to understand and make recommendations about the Lyme epidemic.